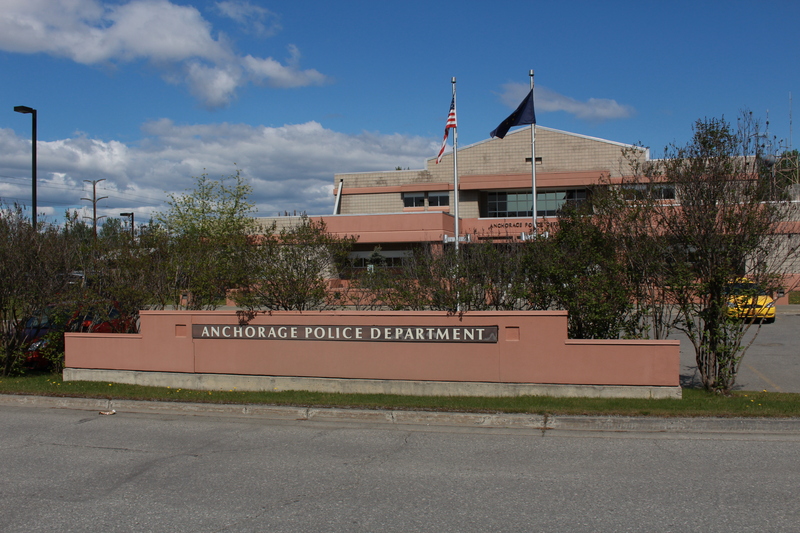 A judge has increased the penalty the Municipality of Anchorage will pay two former Anchorage police officers, who alleged racial discrimination at the Anchorage Police Department and won with a jury verdict this spring. Alvin Kennedy and Eliezer Feliciano are two former drug detectives who had 20 years on the force. A jury found that they had been treated unfairly by the Anchorage Police Department and awarded them a total of more than $2 million in May. The judge in the case also recently tacked on what are called “enhanced attorneys’ fees” of another roughly half-million dollars and noted that Anchorage property owners would pay for the total award and the city’s long, drawn-out legal defense through their taxes. Superior Court Judge Frank Pfiffner also described the city’s tactics as Nixonian and said Anchorage police bungled a separate case — the criminal investigation of the Alaska National Guard — in a failed attempt to fight the lawsuit’s allegations. The racial discrimination allegations by Kennedy and Feliciano came in 2009, starting with complaints and then the lawsuit over what they called a hostile work environment. Kennedy is African-American. Feliciano is Hispanic. Their attorney, Ken Legacki said they were good at their jobs. “Al Kennedy and Eli Feliciano were two very experienced and well respected undercover drug cops, two of the best cops the city of Anchorage ever had,” Legacki said in a phone interview. Legacki — and later Judge Pfiffner — said the police department tried and failed with frivolous internal investigations of the two men to get rid of them. “They had people in the department, basically, trying to create a false narrative,” Legacki said. The police department and municipal attorneys also spent many hours and taxpayer dollars to go after Feliciano and Kennedy and to fight them in two separate trials. The first trial ended in a hung jury. The second trial ended May 22 with the verdict in favor of the two ex-cops. With interest, the jury award for lost wages and mental anguish is more than $1 million for each man. In his amended judgment issued July 5, Pfiffner, an Alaska judge since 2010, described the litigation as the most complex and longest-running he’d ever seen. This was Pfiffner’s reasoning when he added more than $200,000 in attorneys’ fees to the total award for Kennedy and Feliciano. Pfiffner wrote he hoped municipality had also learned its lesson but that it was unfortunate the taxpayers of Anchorage would have to foot the bill. Falsey said the city has agreed to pay the penalty and will not appeal. Legacki said the municipality offered to settle for less than $100,000, a tiny fraction of what the jury ended up awarding and nothing compared to the anguish the police department caused his clients by ruining their careers. But it might not end there. A big issue with this case that Legacki and Judge Pfiffner point to is a connection to the Anchorage police investigation of sexual assault and drug dealing allegations at the Alaska National Guard. A police lieutenant who was a star witness for the city in the Kennedy-Feliciano civil suit was also overseeing the criminal investigation of the National Guard. Citing an internal report by an independent investigator, Pffiner wrote in the amended judgement that the police lieutenant gave the names of people who had lodged the allegations to the head of the National Guard. According to the report, investigative leads dried up in the case, and nobody was ever charged or prosecuted. Pfiffner wrote that the police department purposely stalled its investigation of the lieutenant’s misconduct so he could testify against Kennedy and Feliciano in the first trial and still look credible. By the time of the second trial though, the lieutenant had been fired over the misconduct. He is also currently suing the city and police department. Falsey, the municipal attorney, did not respond to a request for comment about this issue. Anchorage police also turned down a request for an interview.